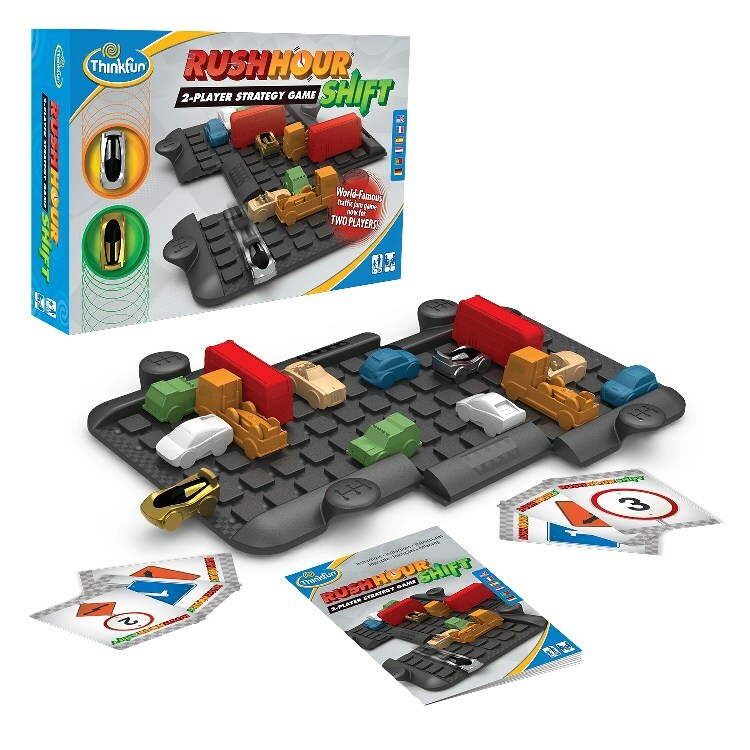 The best-selling sliding block logic game is now for two players! Every move counts in this race to cross traffic. As you draw cards, you'll need a little luck and a clever strategy to win. Should you use turn to advance your own Hero Car or block your opponent? The potential moves are endless, and the shifting Traffic Grid adds a whole new dimension to play. Just when you think you've cleared a path to the finish, a shift of the grid can chance the game! This product was added to our catalog on 01.07.2016.